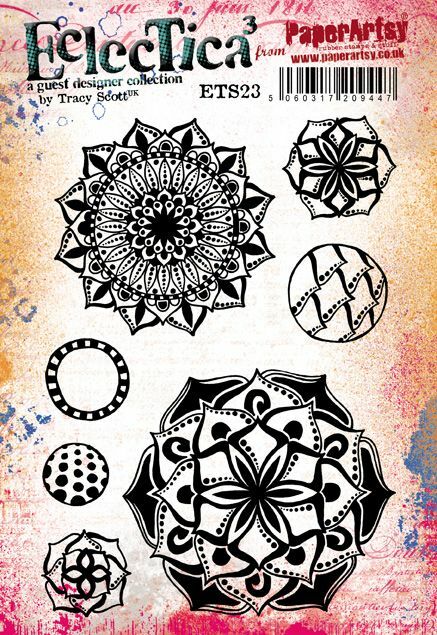 Tracy Scott 23 Eclectica Stamp set for PaperArtsy - Stampers Grove is a webshop and mobile craft shop. Tracy Scott 23 Eclectica Stamp set for PaperArtsy (ETS23). Tracy Scott produces glorious stamps well suited to her bright and cheerful journalling pages full of doodles and bold imagery. These stamps represent her fun-filled style perfectly, and will be so useful for not only journalling, but also for cards, scrap booking and all styles of altered and mixed media creativity. This series was released January 2019.